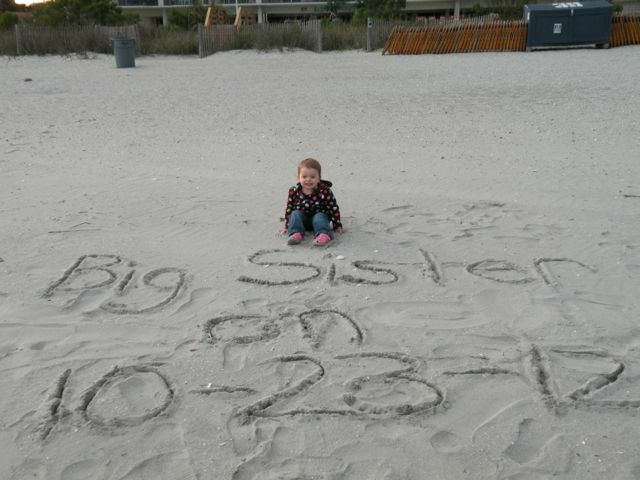 Yes, we are expecting a precious bundle of joy on October 23, 2012! We are overjoyed that the Lord has chosen us to be parents again and can’t wait to hold him/her in our arms. Kinsley is beyond excited at the news as she LOVES babies and can’t mother them enough. Please continue to pray for the health and safety of this child who I am carrying. Also pray for me to feel better as this pregnancy has been rough – much tougher than it was with Kinsley. I know that feeling sick means all is well, that it is a small price to pay for the joy of a new life, and that some women wish they could only get pregnant whether it means feeling sick or not. Thank you for your encouragement and keeping our secret “mum” if you happened to know before this blog post!